It has been a long time coming and the end still isn't quite in sight stateside. Bradley Cooper and Jennifer Lawrence teamed up almost a year before making their critically acclaimed Silver Linings Playbook for a Susanne Bier period drama, Serena, that has yet to find a release date. It was reported a few weeks ago that the film would get an October 24th UK release, but nothing has been announced as far as when those of us in the U.S. will have an opportunity to see it. Still, as it is in fact opening somewhere means publicity is necessary and thus the first trailer and first look at any footage of the film has premiered. I first heard of the film on the heels of Lawrence winning her Oscar and Cooper getting his nomination and thought it might be an opportunity for the duo to once again deliver what might be award-worthy performances, but with the delay and tone of this trailer the film has come to feel like something forever relegated to the back burner of Silver Linings and American Hustle. That isn't to say the film necessarily looks bad, just more forgettable than one might expect. Regardless of how it turns out though (and I still believe it has a real shot at quality) the film will no doubt look beautiful as Bier (whose films I haven't seen before) has captured the countryside of the the 1920's with stunning browns and yellows that seep into the naturalism of the environment. 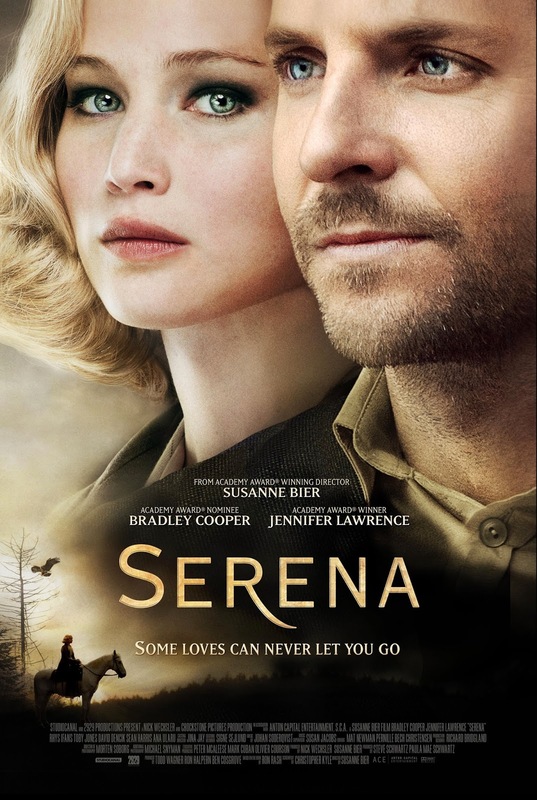 Serena also stars Toby Jones, Rhys Ifans, Sam Reid, and Sean Harris. Hit the jump to check out both the first trailer and poster. Synopsis: North Carolina mountains at the end of the 1920s – George and Serena Pemberton, love-struck newly-weds, begin to build a timber empire. Serena soon proves herself to be equal to any man: overseeing loggers, hunting rattle-snakes, even saving a man’s life in the wilderness. With power and influence now in their hands, the Pembertons refuse to let anyone stand in the way of their inflated love and ambitions. However, once Serena discovers George’s hidden past and faces an unchangeable fate of her own, the Pemberton’s passionate marriage begins to unravel leading toward a dramatic reckoning.